Dr Arunangsu Chatterjee is currently Associate Professor of Digital Health and Education in the Faculty of Medicine and Dentistry. He is the Director of Technology Enhanced Learning and Distance learning in the faculty. He is currently the PedRIO research theme lead of ‘Game and Simulation Enhanced Learning’ and a steering group member of the ‘Global Health Collaborative’. His teaching and research interests are mainly focused on the use and application of digital technologies in healthcare and higher education. He also has a keen interest in how rapidly evolving digital technologies (innovation) facilitate capacity building for sharing and consuming practices of technology use in complex organisations (like NHS and HEI’s). Arunangsu has been working in the higher education environment since last 15 years. Previously he worked at the University of Sheffield (where he studied for his masters and doctoral degree) and University of Leicester before moving into his current role in Plymouth for the last five years. He is currently a Governor and Vice Chair of a local primary school (St Andrew's Church of England Primary School). 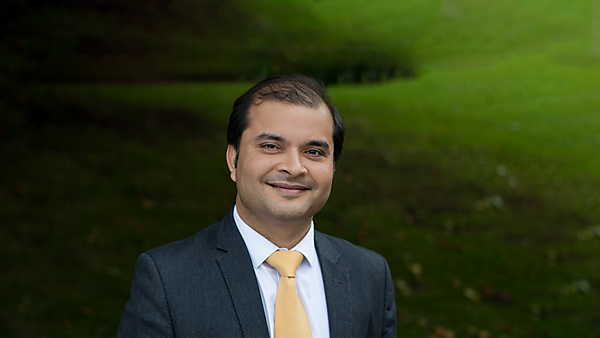 He is also a trustee and secretary of the charity, South Asian Society of Devon and Cornwall.